Glare occurs when a poorly designed or installed lighting fixture directs a large percentage of the total light into your eyes instead of the intended target, like the road or sidewalk. There is no excuse for glare, period. It is clear evidence of poor lighting design and often a by-product of “lighting by the numbers” or “lighting on the cheap”. When a lighting installation is only concerned with meeting a lighting standard that specifies the quantity and uniformity ratio of lighting, the “designer” may choose to save costs by increasing the distance between fixtures. This in turn reduces the number of poles needed, substantially reducing overall costs. However to do this the “designer” may use fixtures that direct light at much higher angles. Instead of improving visibility, this glare vastly degrades our ability to see and, in some cases, can cause accidents by blinding a driver or pedestrian. Like medicine, the first rule of lighting design is to do no harm. If the lighting design hinders visibility, it defeats its purpose and is a complete waste of energy. Lighting practitioners who install lighting without concern for visibility are the reason that the current state of outdoor lighting is often dreadful. Furthermore, the impact of glare is greater on the aging eye. Seniors are disproportionally affected and their quality of life and mobility are degraded unnecessarily. 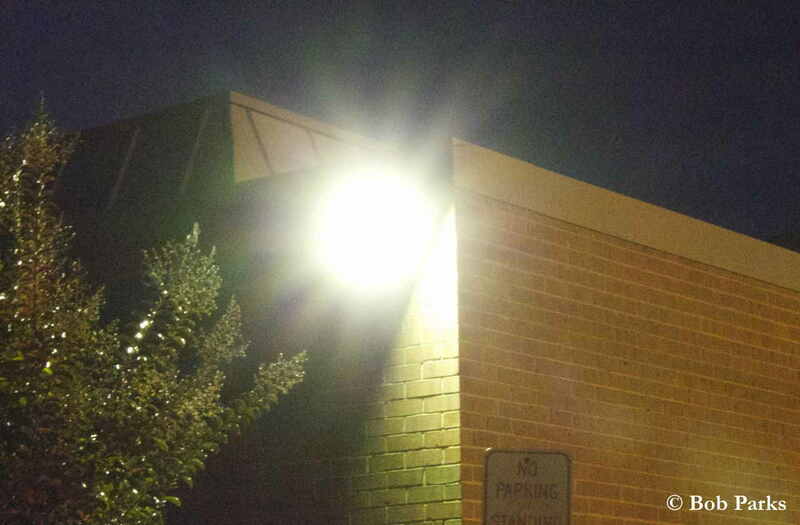 When lighting is installed without regard to what it illuminates, light trespass can occur. 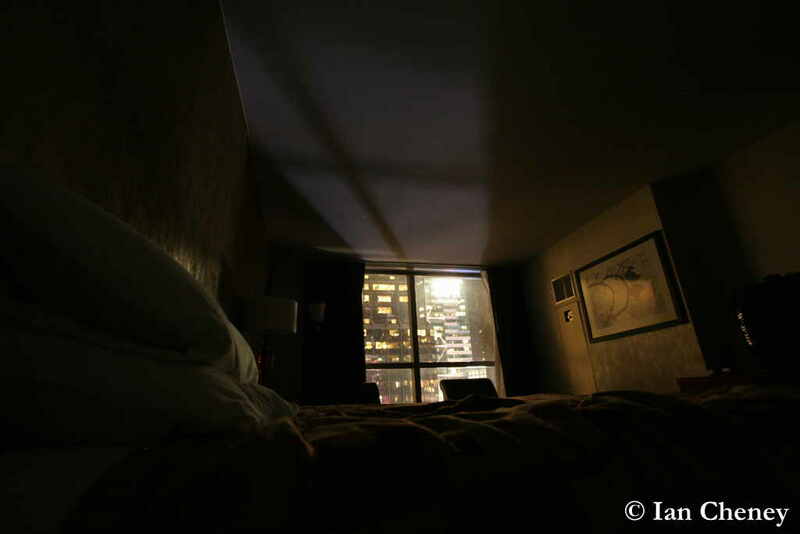 A security light that shines into a neighbor’s bedroom window is a prime example. It shows a total disregard for the property rights of the affected homeowner and it is a source of many acrimonious encounters in otherwise harmonious communities. It is therefore something we should try hard to mitigate through the use of community lighting standards. Unfortunately, one of the main causes of light trespass are street lights installed by municipalities. Street lights cause light trespass for the same reason that lighting installations cause glare: “lighting by the numbers”. When the installer is more concerned with achieving the “right” lighting level or uniformity ratio than quality, stray light into backyards and bedrooms is often the result. Like glare, light trespass can and should be minimized with the choice of quality lighting fixtures that direct light to the task area. 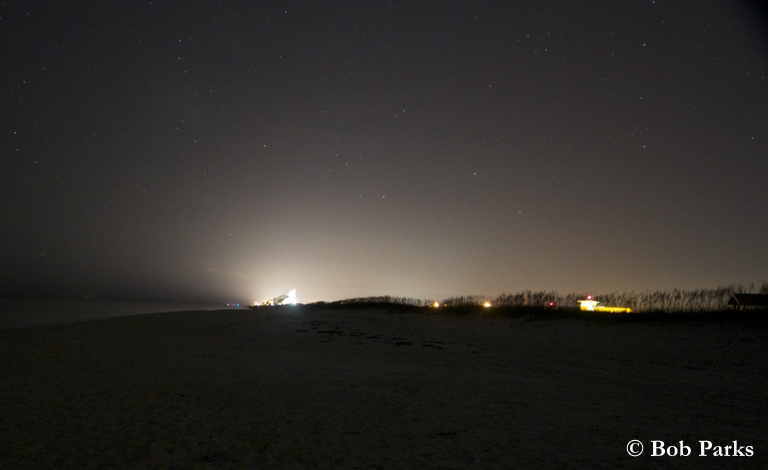 When poorly directed lighting and excessive illumination levels create uplight, the result is sky glow, or the artificial lighting of the sky above what should be natural. Astronomers were the first to notice its effect as it adversely impacts their research and ability to see faint objects in the night sky. Many are quick to characterize the concerns of night sky watchers as less important than that of public safety and therefore ignored. Some openly say that sky glow is the inevitable by-product of progress and civilization. The truth is that sky glow is avoidable without impacting public safety and the impact of artificial light at night has broad and serious negative consequences for human health, wild life, ecology and the environment. Furthermore, the blatant disregard for wasted energy that fuels the wasted light costs taxpayers billions of dollars, and the generation of the power necessary creates air pollution and contributes to global climate change. The time when these facts could be ignored or denied has passed. New research regularly confirms the body of work that has been done for decades showing the wide range of degradation wasted outdoor lighting causes. Do you have the Rp8 guidelines regarding lighting intensity?